Where in Scotland could you have found a hippo, 60 years ago? Just a stone’s throw from the picturesque Helmsdale Harbour, on Scotland’s North Sea coast, you can still find Rapson’s. Back in 1954, Rapson & Sons had a fleet which included a Leyland Hippo, a truck design that had been around since the 1930s. Today, Rapsons vehicles are rather more impressive. 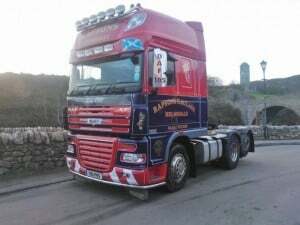 Rapsons still offers haulage, but also enjoys a reputation for vehicle recovery and a full range of garage services, including MOT testing and all manner of vehicle repairs. Its fleet includes five HGVs used for moving freight, plus a service van and heavy and light recovery vehicles. All of these vehicles are refuelled using Texaco fuel cards, provided by Fuel Card Services, a Fuel Card Group company. This is in contrast to other fuel card companies, who expect a customer to sit in a call centre queue waiting for an anonymous random operator. Such companies also levy network fees, or transaction charges, adding an extra £2 to the cost whenever a vehicle is refuelled. Rapsons switched to Fuel Card Services to cut its fuel costs. It has no plans to switch suppliers again.